For any of you still keeping a traditional hard copy of documents in your business, you'll know how quick and easy it is to become disorganised. Just one busy day where you don't get chance to file paperwork correctly can be the start of a sharp downhill slope of disorganisation. 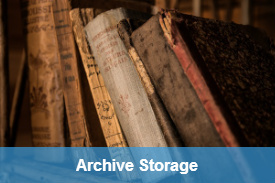 Most offices will have boxes of documents stored somewhere; in storage rooms, in filing cabinets, under desks, on desks...you get the picture. 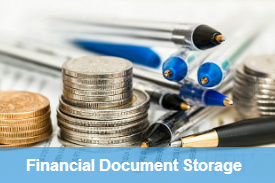 However, how quickly could you access a document that you needed amongst the hundreds or thousands of pieces of paper that you have filed away? That's where Whitefields Document Storage comes into play. 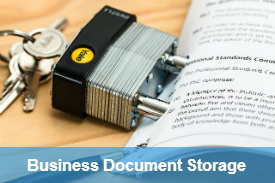 We offer business document storage which allows you three things: extra storage space in your business environment, peace of mind that you're never going to lose anything, and the ability to access specific documents or boxes free of charge - delivered straight to your door within just one working day (as a part of our managed service). Who needs business document storage? We find a huge variety of businesses using our services, from small local businesses to larger firms including legal practices, mortgage lenders, accountancy firms, public sector organisations and more. 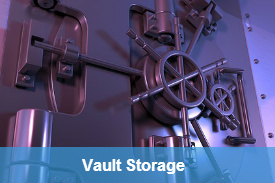 The types of document that are stored securely in our fire-resistant, environmentally controlled, 24-hour security warehouse would typically be invoices and receipts, legal documents and contracts, personnel files and any other files that may need to be referred to in the future, along with all business documents that need to be kept for a set number of years for legal reasons. 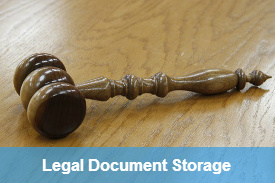 Because of the legal requirements to keep business documents for a set period of time - typically seven years - it's vital that you never lose anything; but seven years worth of documents can certainly mount up in the workplace. 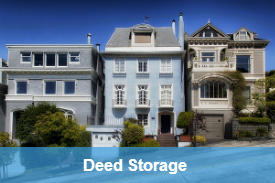 We store hundreds of thousands of documents at WD Storage. You'd think keeping on top of this would be hard, but our top-of-the-range record management system makes it easy. All you have to do is box up your documents (and we'll send the boxes to you) and then write a unique ID on each box. This ID is for your records only, so it can be anything you want. The rest is down to us. We'll collect your boxed documents from your location, strap them upon arrival at our warehouse - so that no-one can access them - and give them a unique barcode. These barcodes are then scanned and our unique record management system will assign your box a location within our warehouse, to be stored safely and never touched until you request access to them - they'll then be delivered to your door within one working day if you request them by phone before 3pm.